I would like to take this opportunity to thank you for your past business As many of you know my husband and I will be making Aliyah in 2021. 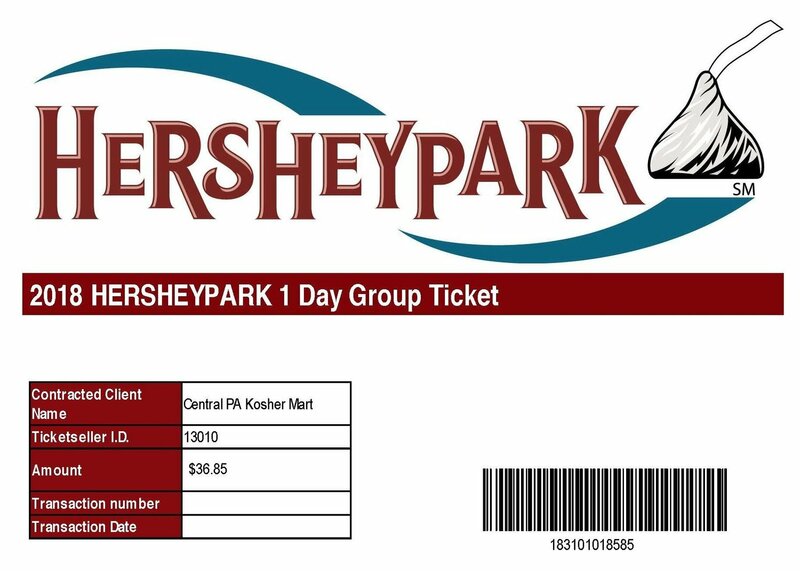 Central PA's Kosher Mart will now be Keepin' It Kosher Food Truck operated by Hersheypark and under the Star-K. Please click on the Food Truck icon below for hours and menu. Furthermore, the Keepin' It Kosher Food Truck will be located in the Midway America,(view map at http://www.hersheypark.com/info/park-map.php) section of the park this summer due to the park expansion. Meal Delivery outside of the front gate will not be available this season. Discount tickets to the park may still be purchased from our website. We will be holding our annual Sukkot Event on Wednesday evening, October 16th and on Thursday, October 17th.